Explore each section to gain a basic understanding of Dry Eye, the symptoms, the causes and treatment options. If you’re using artificial tears often you may be one of the 5 million Americans suffering from Chronic Dry Eye. One type of Chronic Dry Eye is characterized by decreased tear production due to inflammation of the ocular surface. This ocular surface inflammation is a result of an unstable and exhausted tear film. The good news is that there are treatment options available that you can discuss with your eye doctor. If you think you may have Chronic Dry Eye, don’t wait until your next annual eye appointment to see your doctor. MAKE AN APPOINTMENT WITH YOUR EYE DOCTOR. 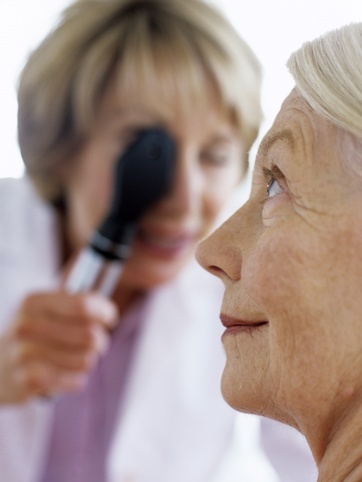 Your eye doctor can examine your eyes and determine if you have Chronic Dry Eye. He or she can talk to you about available treatment options.